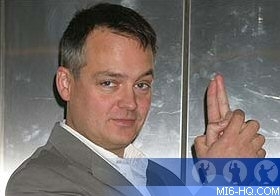 Exclusive: MI6 caught up with Young James Bond author Charlie Higson to talk about his new "Hurricane Gold". 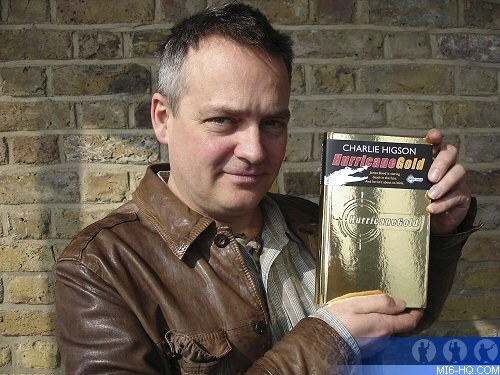 Speaking for the fourth time to MI6 about the series, Charlie Higson talks about coming up with titles for the new adventures in this serialized MI6 interview. What were your working titles for the book? Well my working title for the book was Lagrimas Negras (MI6 Note: this roughly translates to "Black Tears"), but it was instantly thrown out by Puffin as being too foreign and too tricky for kids. As before, we went through tonnes of different title ideas. In the end, from the bits and pieces we had, Puffin got very excited about the idea of gold for the book. 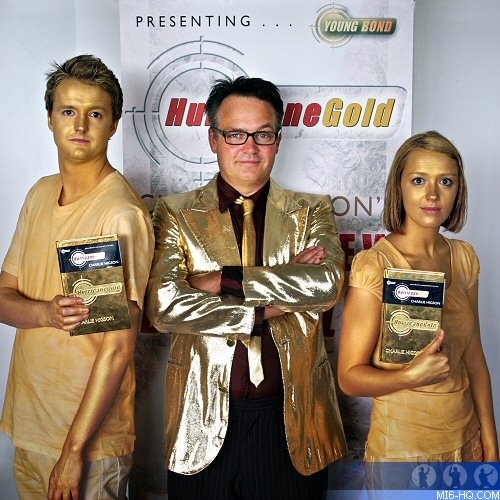 I was steered very much in the direction of 'please use something gold'. In fact, at the point we were talking about titles I hadn't done the final re-write yet and the sequence which is now in the abandoned oil field was originally in an abandoned gold mine. I felt I had done that with the silver mine in Blood Fever, so I wanted to change that. Was the element of gold in the title driven by marketing? Gold fitted for the whole Mexican and Mayan theme so I was quite happy to go in that direction for the title. When they came up with this idea of using a gold title then it seemed like a very good idea, especially for Puffin. I'm not very good at thinking up titles and we go through huge numbers of titles. Usually, it comes down to some outside reason for going with it, like the last one we had a vote. 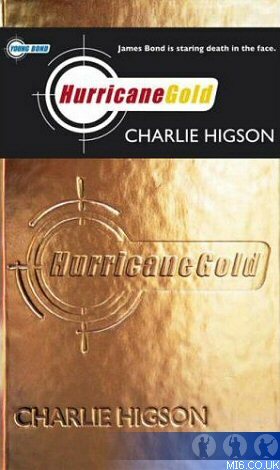 In the end I'm very pleased with it and I think Hurricane Gold is a good title and the book looks amazing. So, it didn't entirely come from me, but then none of the other titles have come from me either, but I've always been pleased with them. Yes, it's very tricky. Fleming had such great titles, and they've all been used, even the short story titles, and anything to do with his life seems to have been used. Actually though, I think the title of Sebastian Faulk's new book [Devil May Care] is pretty good. So, hats off to them, they came up with a good one! I've been struggling with the titles and I'm trying not to go down that route you mentioned... but we did with Double Or Die, but it was the kid's votes and it was obvious they were going to pick that one because, as you say, it sounded like a Brosnan movie. That's their idea of what Bond titles should sound like. I'm hoping that my books will work as a set of five in their own right and 'those are the Young Bond titles'. But it is very difficult. Raymond Benson and John Gardner came up with a lot of titles. [Laughs] Oh, I know! Interestingly, Fleming left note books with title ideas and abandoned titles and some of them were rotten. And he toyed with different versions of the good ones too, like From Russia, with Love. You forget sometimes, once you've lived with a title for a while, and just kind of accept it. Like, The Beatles is a terrible name for a band but you don't think about that now. Was there any reason the crocodile disappeared from the Hurricane Gold proof slip cover? I felt it was giving away too much about the ending. While there are crocodiles mentioned along the way, I didn't want to give it away. I wasn't sure actually, it might have looked a bit more exciting with a crocodile on the cover. 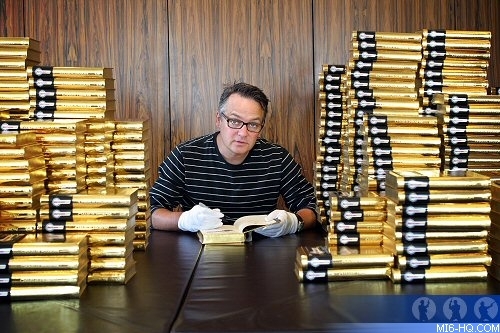 But I think the gold book speaks for itself. Was The Infernal Machine (an abandoned title for Fleming's Moonraker) every kicked around for book three [Double Or Die]? It was, yes. For kids it was felt it was a little bit too sci-fi and there was also another kids book just published before which was called "Infernal Devices" by Philip Reeve... but it was certainly one of the suggested titles. Is it fair to say that Sakata is a nod to the actor who played Oddjob? Are there any other Easter eggs you've planted in there? Then there is also the name of Horowitz, which was one of the names of a criminal in The Spy Who Loved Me... but it's also the name of Anthony Horowitz who writes the Alex Rider books. I always thought it was quite amusing that they shared the name so I put that in as a kind of homage to the two of them.